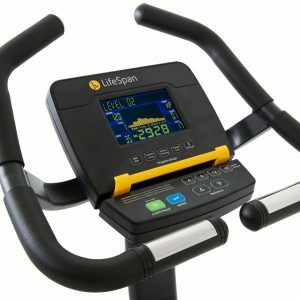 Put your best foot forward with the LifeSpan C5i stationary upright bike. 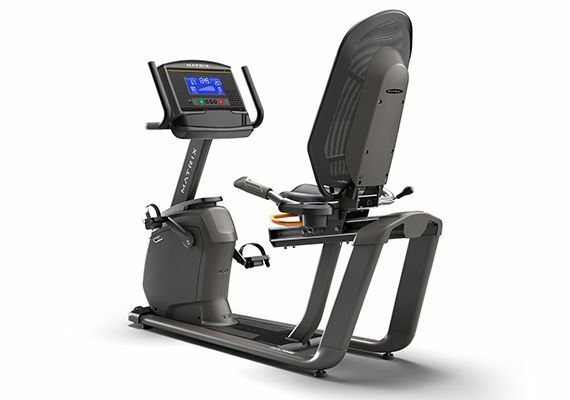 The C5i offers a superior combination of durability, comfort, innovative features, and best of all, it won’t break the bank. 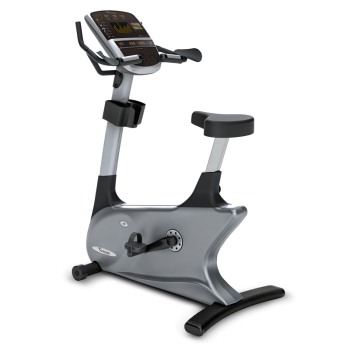 Designed with the end user in mind, this upright cycle delivers an impact-free workout with the comfort of the oversized, padded seat. 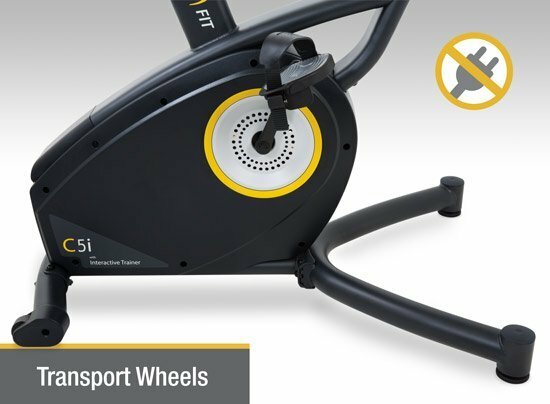 Your ride will be so comfortable you won’t want your workout to come to an end. 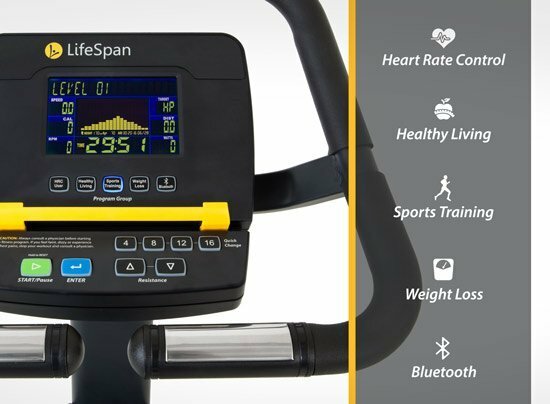 And with the large selection of exercise programs, it won’t have to. There’s an endless number of rides available at your fingertips. 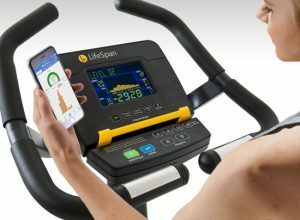 And once your workout finally comes to an end, you can upload and view all your exercise data to your smartphone with built-in Bluetooth capabilities. 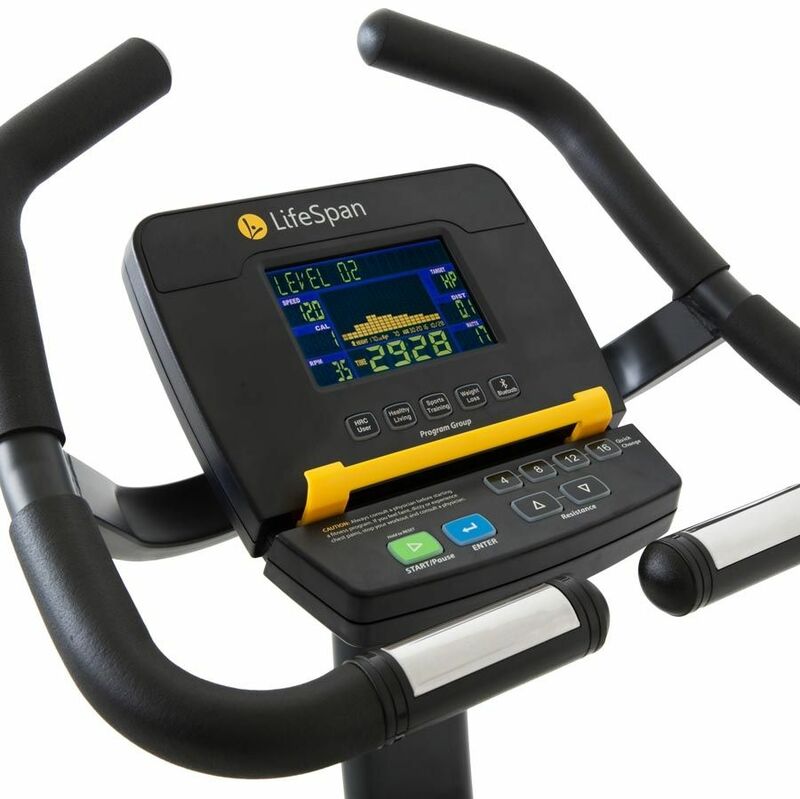 Get started with your fitness journey today with the C5i upright exercise bike from LifeSpan. Trust us, you won’t regret it. 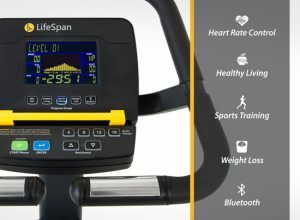 Unlike most exercise bikes, the C5i has an integrated self-generating power system providing power to all the bike’s electronics, so there’s no power cords or batteries needing to be replaced every couple of months. 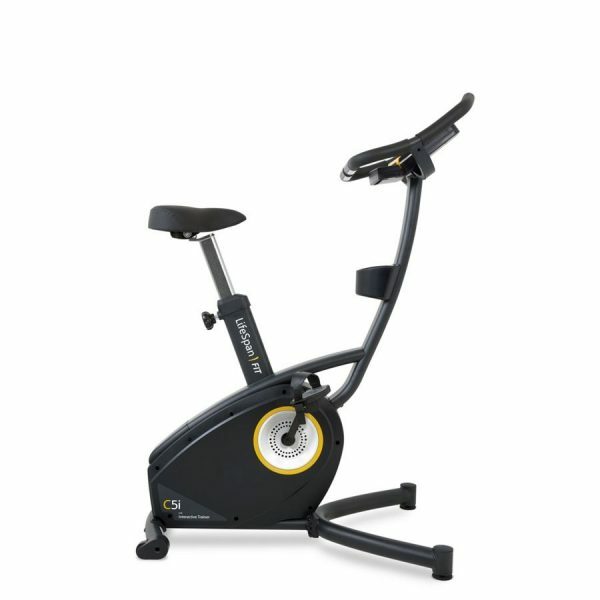 The lack of a power cord also makes the bike easier to move into place. 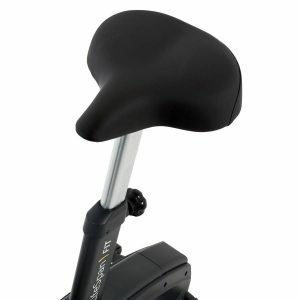 Simply lift the back-end of the bike and it’s ready to roll on its transport wheels.Superior hardware directly translates into higher caliber, longer-lasting products. 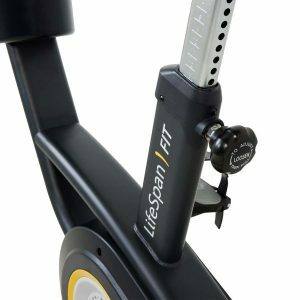 LifeSpan’s dedication to quality is on full display with the C5i upright cycle’s enhanced drive system. 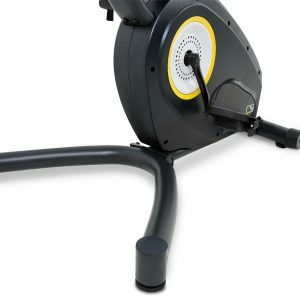 The commercial bottom bracket with over-sized bearings and strong, cast-metal components make the upright quiet, reliable, and durable. 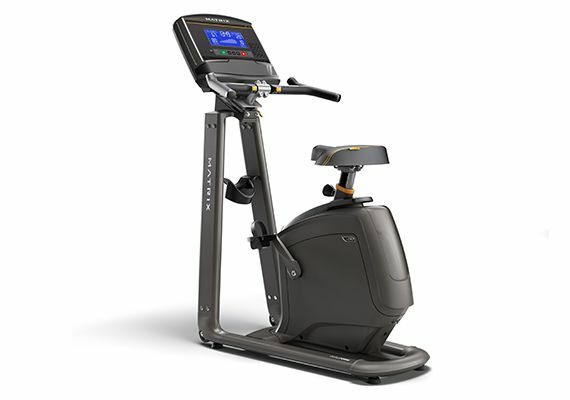 In short, the C5i stationary upright bike will last you years to come.